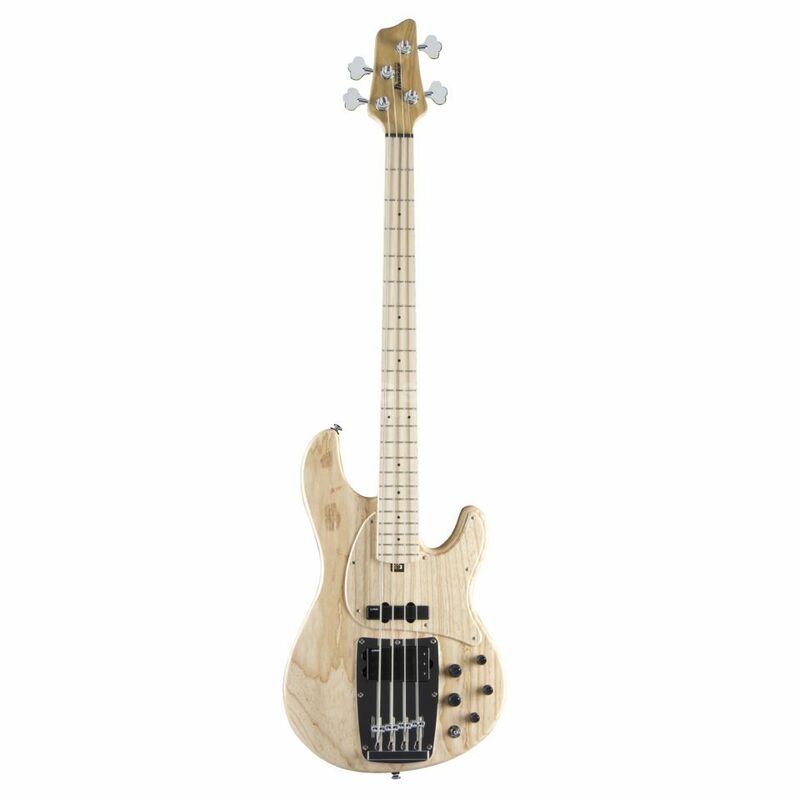 The Ibanez Premium ATK810-NTF Natural Flat is one of the most straightforward, versatile four-string bass guitars on the market. Equipped with a large Ash body plus a conventional neck design, this bass is built to keep old-school players happy. The ATK810 features a maple fingerboard adorned with 22 medium frets and black dot inlays. With Premium Fret Edge Treatment, the fret edges are processed to be specially rounded for smooth play and a comfortable neck grip. Equipped with the original Ibanez CAP Double Humbucker pickup, this bass guitar offers three distinct sounds for all styles of playing. Two humbucking coils inside one pickup can minimise noise by hum cancelling in each pickup position (neck, bridge and combined). The combination of the Sonic Arch neck pickup and Double Humbucker bridge pickup gives you a multitude of possibilities in tone. The ATK810 also included Ibanez Custom Electronics 3-band EQ for simple EQ control. The Boost and Cut for the Mid Control are each centred on slightly different frequencies, delivering a preset range of the most favourable bass tones. The Graph Tech BLACK TUSQ XL nut offers ultimately lower friction to keep you in tune and give clearer sound and sustain.